Ice Box Entertainments Creative Director was one of the creative minds behind the original concept of Ice Space to create an interactive Ice Experience and visitor attraction in Central London. Interior Design, Ice features, Ice Art installations, Ice bars, Ice Furniture, pushing the boundaries, on a massive scale to include features created using 250 tons of ice. 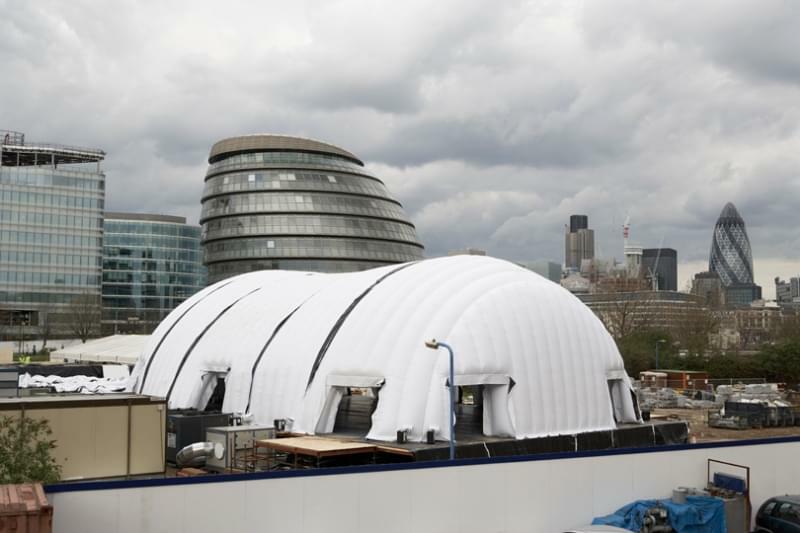 Housed, constructed and installed inside a series of Inflatable structures, maintained at sub-zero temperatures – covering an area the size of a football pitch. Sourcing support elements from ticketing online and box office to full staff and entertainer support ‘village’. 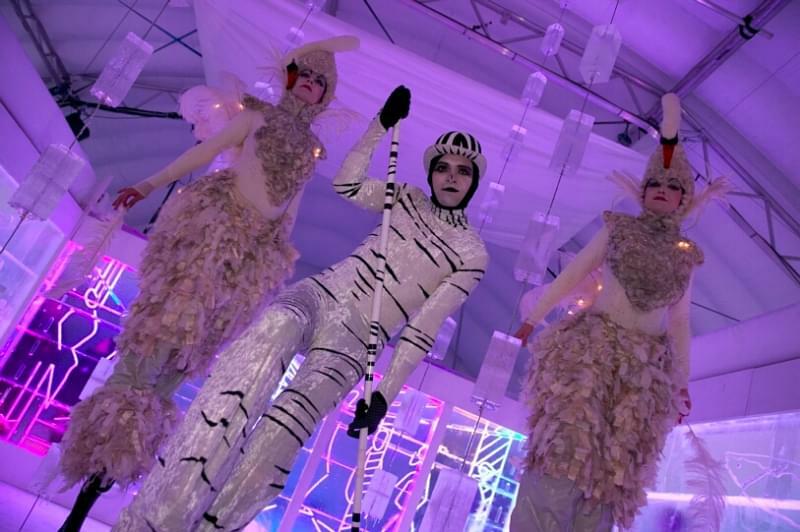 Ice Box Entertainments, led by Creative Director – Philip Hughes, integral to the original concept, worked with the Ice Box artistic team to develop the designs and layouts with detailed plans for something on a scale, never created before outside the Arctic Circle. The project involved specialist engineering and research for the structures, staging systems, insulation, display lighting and all cooling and technical elements. Ice Box entertainments drew together the expert team and suppliers and using ground breaking technology and design, created the Ice interior, consisting of over 40 tons of ice, sculptured and designed to create the most incredible ice experience, linked to the spectacular structures, projection and external production elements. 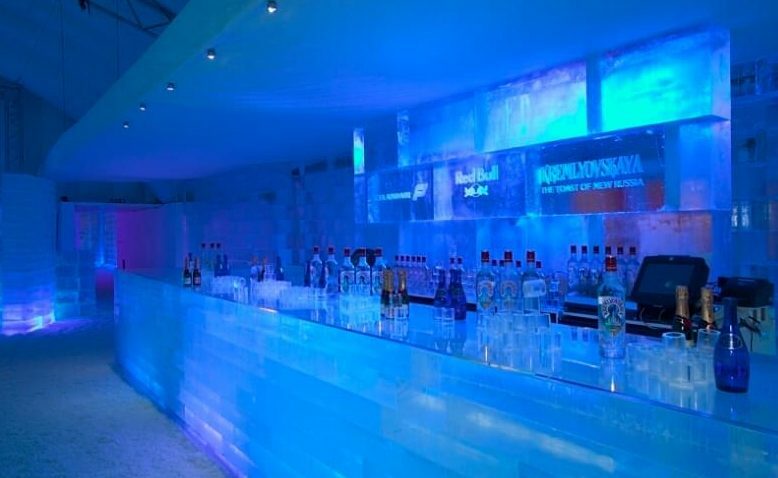 The interior included ground breaking innovative design in ice sculpture, ice art and the interior, with a capacity for 400 persons included two Ice bars, an uber cool ‘chillout lounge’, an ice ‘snug’ room, play areas, performance arts areas and an ice gallery of huge ice features. The project took several months to develop, the build of the Ice interior alone requiring ten days of construction with three and four metre high sculpture installations, working with a team of twenty highly skilled Ice Box Entertainments crew and Ice Box ice artists. The addition of a spectacular 600 sq metre Ice rink, covered and cooled, was linked to the main Ice Space attraction through connecting space age tunnels and provided a unique location to skate, in Summer, overlooking the Thames and Tower Bridge. The Ice Space project was pioneering, in scale, the quality of the production and the spectacular interior design and fantastic ice interiors. Receiving huge international press attention, the project was deemed an ‘Ice success story’, revered by the global ice sculpture community, breaking new ground in contemporary ice sculpture installations, incorporating live performance art at sub-zero temperatures and numerous unique interactive elements, attracting over 12,000 visitors during its twenty one day run. 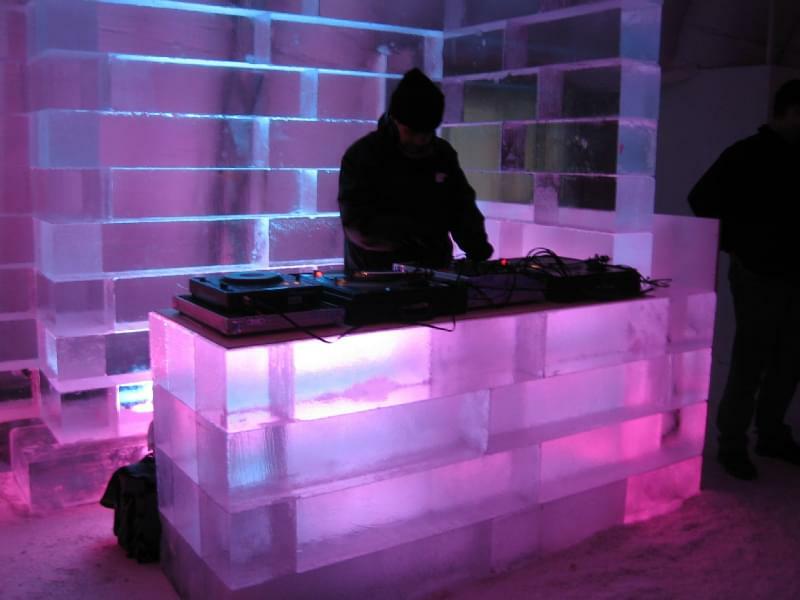 Ice Box Entertainments are the only specialist, ice event company who were able to offer the complete design, create, construct and production elements for the Ice Space project.